Editors Note: There are five figures associated with this press release. 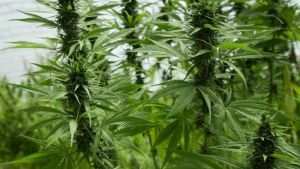 ICC Labs Inc. ("ICC Labs" or the "Company") (TSX VENTURE:ICC), a fully licensed producer and distributor of medicinal cannabinoid extracts, recreational cannabis and industrial hemp products in Uruguay, is pleased to announce the details of two recently completed milestones and its goals for fiscal 2018. ICC Labs completed its first indoor-grown and fully organic harvest of medicinal cannabis at the Company's 21,528 sq. 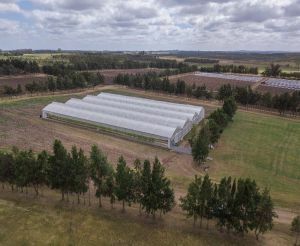 ft. greenhouse situated on company-owned land in the Department of Canelones, Uruguay. This achievement demonstrates ICC Labs' ability to execute its goals and successfully ramp up its operations in anticipation of becoming a leader in the production of cannabinoid extracts in Latin America and the world. Alejandro Antalich, Chief Executive Officer of ICC Labs, commented: "Our goal is to take care of every detail in the production process, from seed to sale, to ensure that our end products are 100% traceable, of excellent quality and suited for intended use. Further, the successful completion of ICC Labs first indoor harvest sets us up for a great 2018, as we expect ICC Labs' medicinal operations to mature from their development stage. This harvest of 4,000 plants also provides the raw material to start producing the Company's first 30-millilitre bottles of its branded cannabidiol ("CBD") oil, 'Bidiol', in a temporary laboratory situated in Uruguay's free trade zone "Science Park", which the Company will use until it completes construction of the first permanent CBD extraction laboratory in South America. 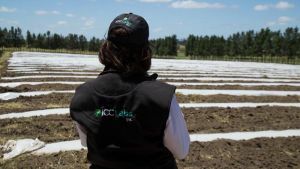 ICC Labs is a first-mover in the nascent outdoor medicinal cannabis production industry in Latin America. 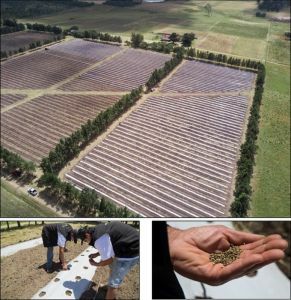 It is currently in the process of sowing 400 acres of seeds of high-CBD cannabis varieties in Uruguay in accordance with the Company's authorizations from the Uruguayan Ministry of Livestock, Agriculture and Fisheries. The Company believes that 400 acres of planted high-CBD cannabis varieties will provide sufficient feedstock (up to 150,000 kg of dried CBD flowers) for the Company to operate its permanent extraction laboratory, once constructed, at full capacity for one year. Alejandro Antalich, the Chief Executive Officer of ICC Labs, commented: "Our long-term vision for ICC Labs is that of a supplier of medicinal cannabinoid products to the greater Latin American market. As such, we are seeking to lay the foundations that will allow us to supply a potential market comprised of more than 400 million people in Latin America. Our recently revised emphasis on the medicinal cannabinoids market coincides with a momentous year in certain Latin America countries as the liberalization of the medicinal cannabis market continued. 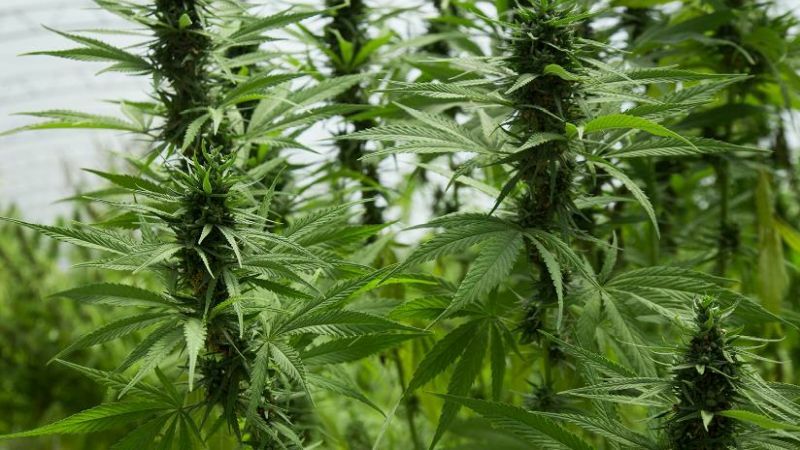 This year alone, Argentina, México, Peru and Paraguay joined Brazil, Uruguay and Chile in approving important pieces of legislation that will allow the use of medicinal cannabis." The Company has operations in Uruguay, and is focused on the licensed production, development and sale of medicinal cannabinoid extracts, recreational cannabis and industrial hemp products in Uruguay. For more information, please see the Company's filings on www.sedar.com and www.icclabs.com. Certain statements in this press release constitute forward-looking information. All statements other than statements of historical fact contained in this press release, including, without limitation, those regarding the Company's future production and sales, results of operations, strategy, plans, objectives, goals and targets, and any statements preceded by, followed by or that include the words "believe", "expect", "aim", "intend", "plan", "continue", "will", "may", "would", "anticipate", "estimate", "forecast", "predict", "project", "seek", "should" or similar expressions or the negative thereof, are forward-looking statements. These statements are not historical facts but instead represent only the Company's expectations, estimates and projections regarding future events. These statements are not guarantees of future performance and involve assumptions, risks and uncertainties that are difficult to predict. Therefore, actual results may differ materially from what is expressed, implied or forecasted in such forward-looking statements. Additional factors that could cause actual results, performance or achievements to differ materially include, but are not limited to: the Company's ability to complete the construction of its cannabinoid extraction laboratory in a timely fashion and in accordance with requisite regulatory requirements, or at all, to obtain all requisite regulatory approvals for the production and export of cannabinoid based products, to produce various cannabinoid based products in a cost-effective manner, or at all, and to successfully grow and harvest sufficient outdoor hemp crops to operate its prospective CBD laboratory near fully capacity. Additional information identifying risks and uncertainties is contained in the Company's filings with Canadian securities regulators, and available at www.sedar.com. Management provides forward-looking statements because it believes they provide useful information to investors when considering their investment objectives and cautions investors not to place undue reliance on forward-looking information. Consequently, all of the forward-looking statements made in this press release are qualified by these cautionary statements and other cautionary statements or factors contained herein, and there can be no assurance that the actual results or developments will be realized or, even if substantially realized, that they will have the expected consequences to, or effects on, the Company. These forward-looking statements are made as of the date of this press release and the Company assumes no obligation to update or revise them to reflect subsequent information, events or circumstances or otherwise, except as required by law. About this company ICC Labs Inc. Figure 1: ICC Labs' 21,528 sq. ft. greenhouse in Canelones, Uruguay. Figure 2: Medicinal cannabis plants at ICC Labs' Canelones greenhouse. Figure 3: Agricultural workers at ICC Labs' Canelones greenhouse. 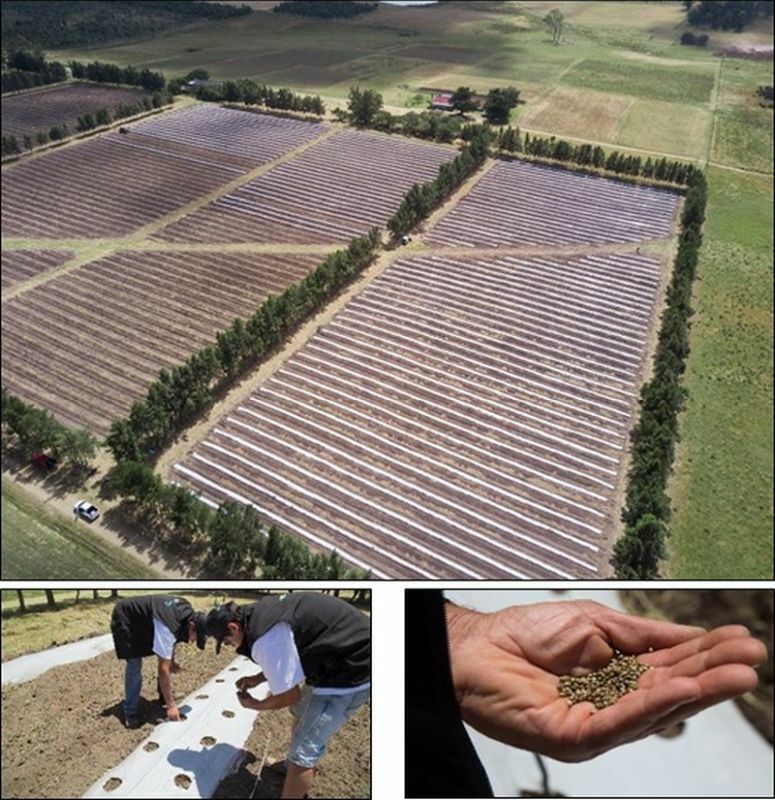 Figure 4: Images from ICC Labs' outdoor sowing in Canelones, Uruguay. 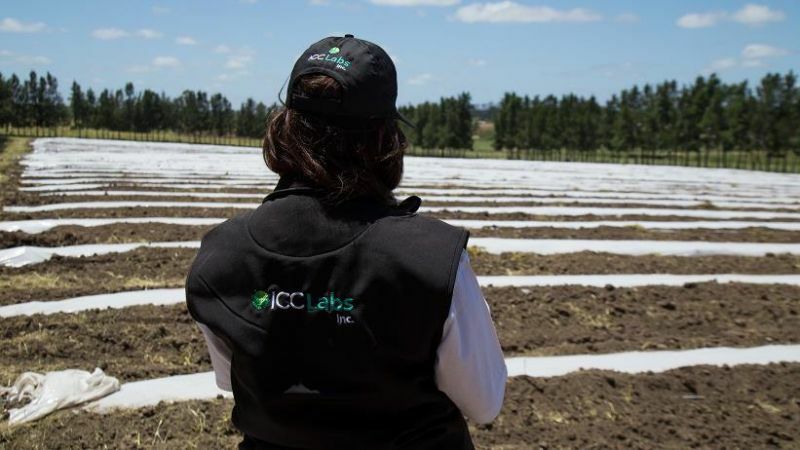 Figure 5: ICC Labs' outdoor fields in Canelones, Uruguay.